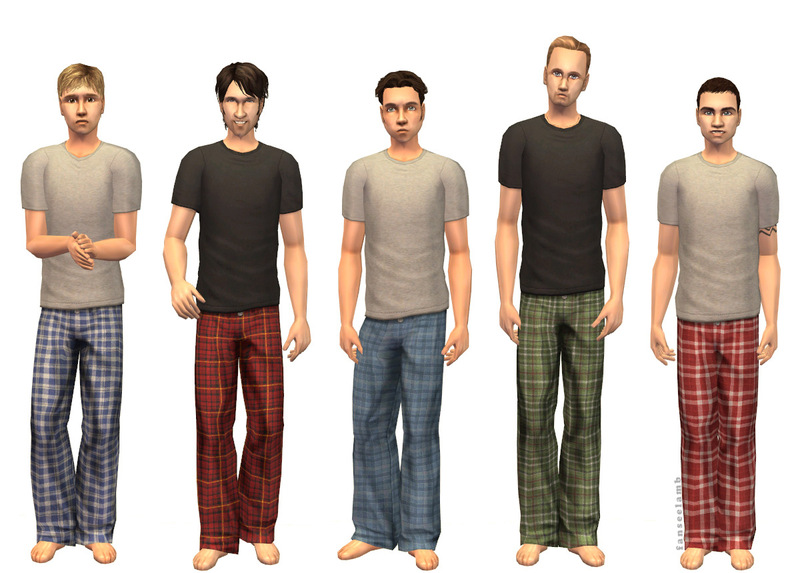 Sleepwear for your male Sims. 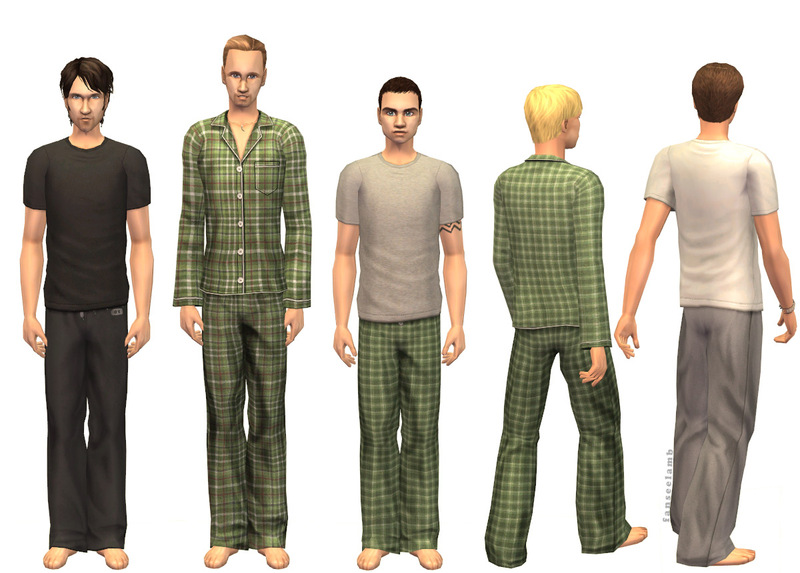 Your Sims will automatically change into this outfit when they go to bed. 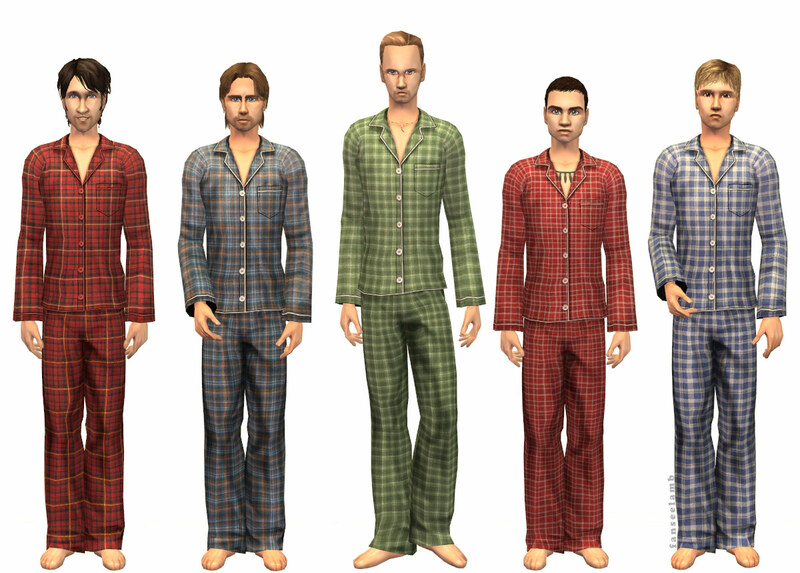 Here are some cute cuddly PJs for your pixel men. They come in three styles and various colours. These can be worn by adults, young adults, and elders. They come in 11 colours. 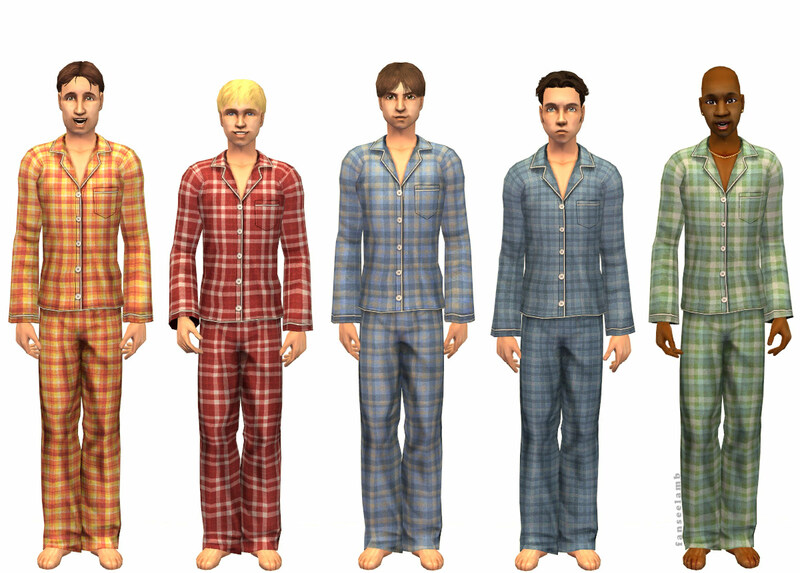 Available as Sleepwear only. 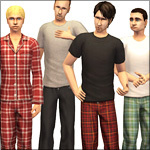 They use a mesh made by Amaryll. 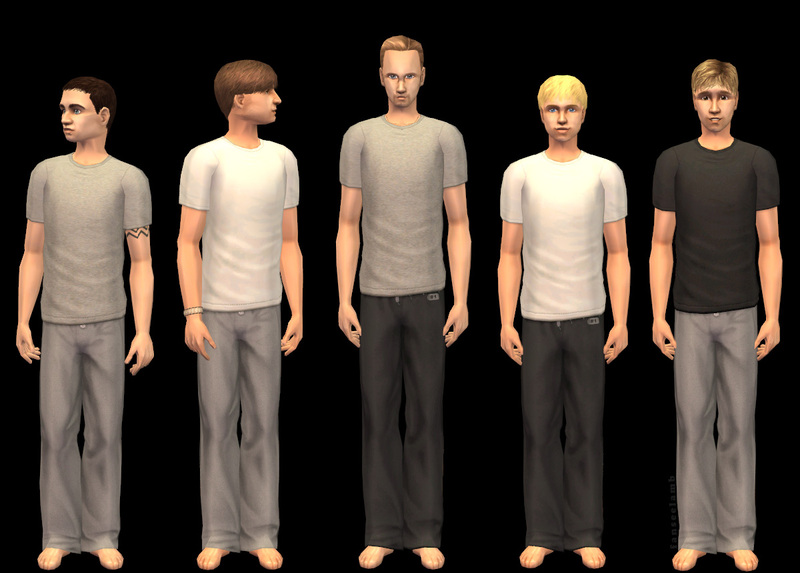 The mesh was originally a default-replacement which I turned into a non-default with her permission. 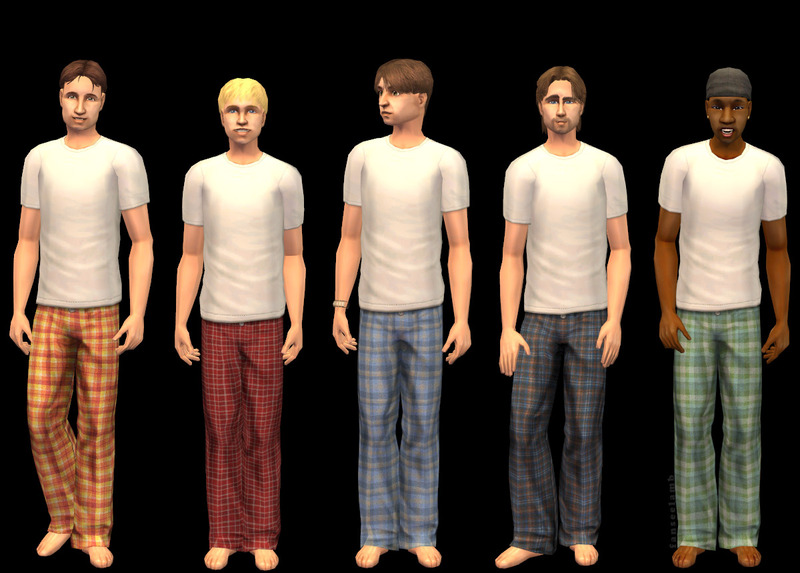 You can get Amaryll's original PJs (both default and non-default versions) here. I recommend them! Thanks, Amaryll! 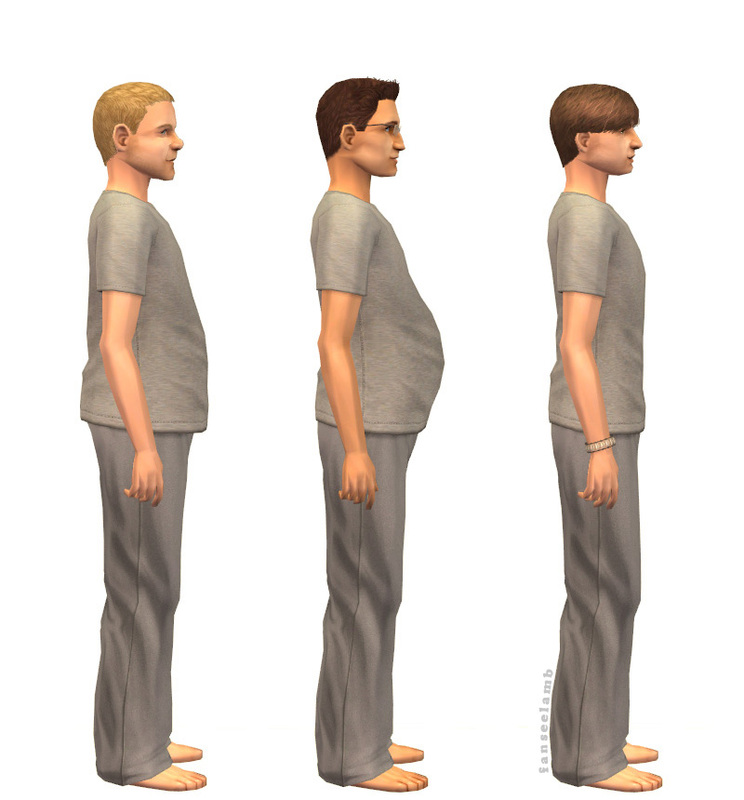 Both meshes have fat and pregnant morphs. Rather cute ones if I do say so myself! 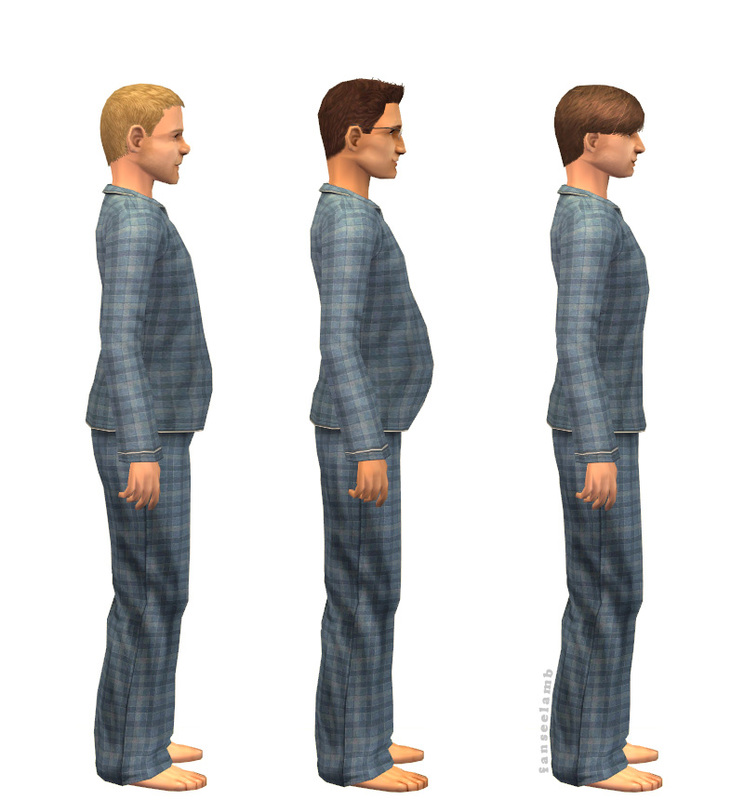 The meshes are included and all files have been compressed to save disk space. Tattoos and jewelry not included.